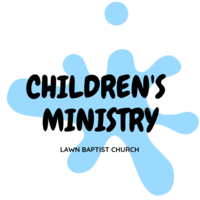 Our goal is to help kids become life-long disciples of Jesus Christ! We would love to have you join us! 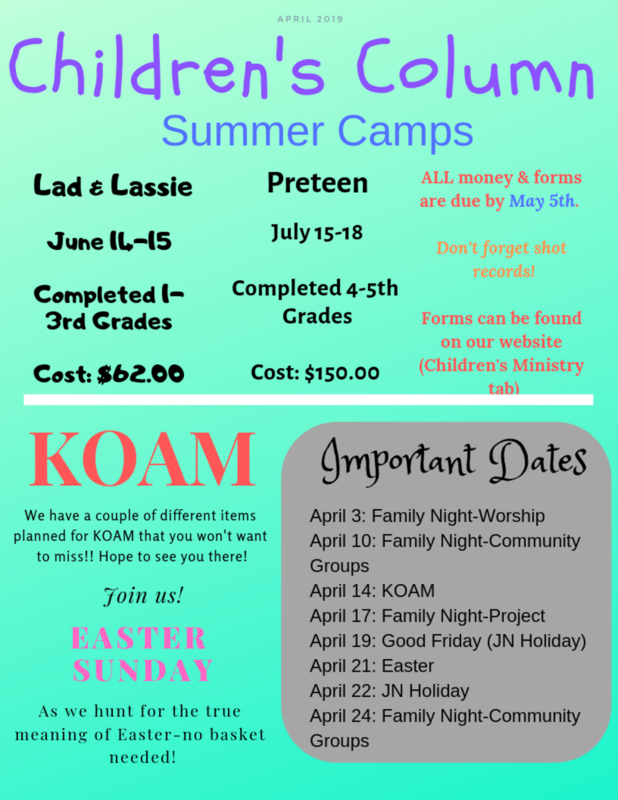 Click the appropriate link to download/print camp forms. Reminder that all camp forms, shots records & money are due by May 5th! 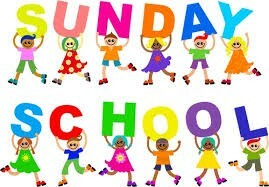 Sunday School meets every Sunday morning from 9:45-10:40. We have age appropriate classes with wonderful teachers. Pre-K meets in the first room on the left from the Welcome Center, headed towards the old sanctuary. K-1st Graders meet upstairs in the Family Life Center/gym (first classroom). The 2nd-5th Graders meet upstairs in the Family Life Center/gym (last classroom). The nursery is available for newborns-3 years old during the Sunday School hour & during church service. Youth (6th-12th grade) meet in the old sanctuary. There will be someone in the Welcome Center (the doors leading into the church on the south side between the new & old sanctuaries) to help you find your classrooms. Don't forget to bring your parents-there are classes for them, too!! Oh, and did I mention donuts?! They are available for kids of all ages in the Welcome Center. 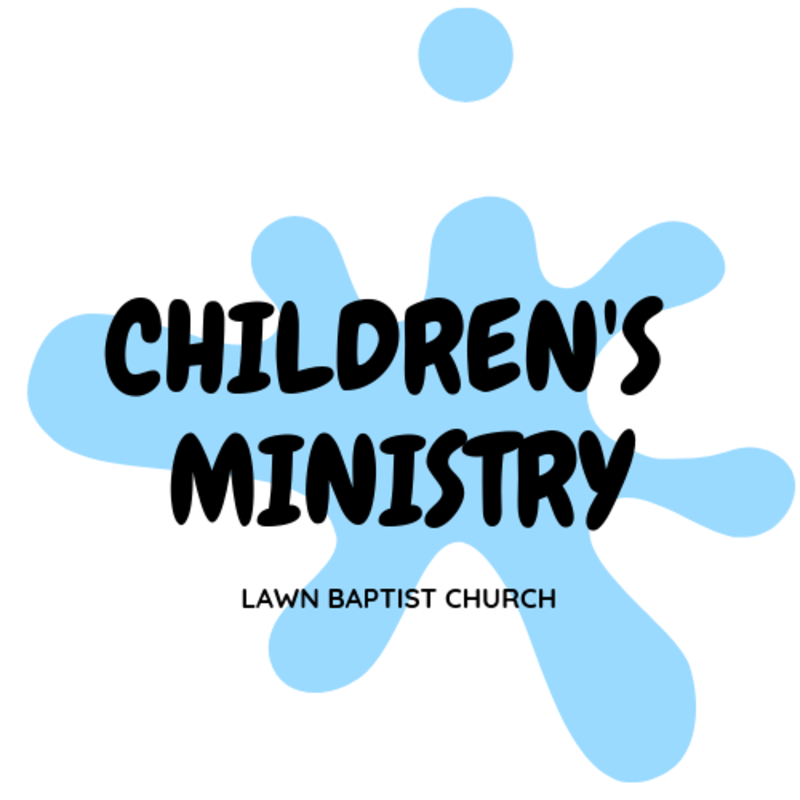 There are a lot of fun & exciting things going on at Lawn Baptist Church-we hope you will make plans to attend!! !